Industry exposure: More than 50 years of hands-on experience of the industry & corporate world. 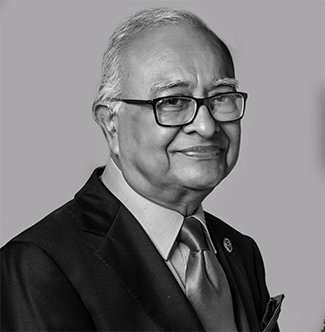 He founded Kanu Doshi Associates, CA in 1979 having qualified as CA in 1964. Directorate position in MNCs like Reliance Capital Nippon Life Asset Management Co. Ltd., Edelweiss Asset Management Ltd & Motilal Oswal Mutual Fund. He is an active Rotarian & was the President of the Rotary Club of Bombay Seaface in 2017. He is on Governing Board of Forum of Free Enterprise, a leading NGO. Tax Holidays, Financial Accounting, Special Economic Zones. 1. A regular speaker at the prestigious seminars and conferences organized by The Institute of Chartered Accountants of India, New Delhi, Bombay Chartered Accountants’ Society, Mumbai and CII, FICCI. 2. He shares his wisdom through contributory articles in various professional and general magazines of the country. 3. Guest Speaker - on CNBC, NDTV for his opinions on Union Budgets & Corporate events. Publication / Book Published: Has written regularly in Magazines and Newspapers on Tax, Investments and Corporate events, Budgets. Best Faculty in Finance awarded by Higher Education Forum in September 2012.